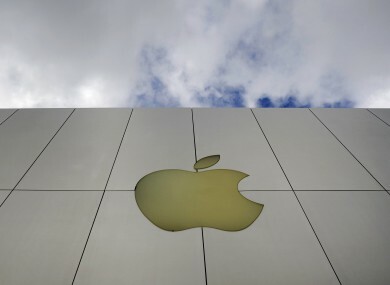 Corporate giant Apple transferred 64 per cent of its income to Irish subsidiaries. AMERICAN CHILDREN ARE losing out on education because technology giant Apple is transferring profits to Irish tax havens, the US Senate heard today. The fallout from the corporation’s tax avoidance strategies continued this afternoon when the company’s CEO, Tim Cook, was called to give evidence before a hearing in Washington DC. Cook was asked to explain why his firm transferred 64 per cent of its income to Irish subsidiaries which had no employees or activity in recent years. The Senate heard Apple entered into complicated cost sharing agreements with its Irish entities which took advantage of international tax loopholes. The firm also used existing US legislation that allowed multinationals ‘disregard’ subsidiary income when filing tax returns. Cook told the hearing his corporation was not stashing “money on some Caribbean Island” and said Apple complied with all regional tax laws. However, he said it was very expensive to bring money back into American because the US tax code had not “kept up with the digital age”. He proposed major reforms of American tax laws. Senate Permanent Subcommittee on Investigations Chairman, Carl Levin, called Apple “tax freeloaders” involved in “massive tax avoidance”. The Democrat Senator claimed the company’s tax strategy meant US children were missing early eduction, senior citizens went without meals and fighter jets lay idle on runways. In 2012, the iPhone manufacturer avoided paying $9 billion in US taxes by shifting profits to Irish companies, according to the senator. We should close these loopholes, they are unjustified. Former US Presidential candidate, John McCain, said Apple’s tax avoidance was “unacceptable” and its corporate tax strategy “reflects a flawed system”. The Republican Senator said the transfer of profits to Ireland “encroaches on hard-working American families”. He criticised the company for moving its intellectual property rights to Ireland while keeping the legal rights to its property in the US. McCain called the tax loopholes ”harmful” and said they give large corporations “huge advantages” over small domestic companies. “Apple has violated the spirit of the law if not the letter of the law,” McCain said. Villanova University Professor and tax expert, Richard Harvey, said he “nearly fell out of his seat” when he heard Apple say it did not use “tax gimmicks”. Professor Harvey questioned why the company would transfers its “crown jewels” (intellectual property rights) to a “foreign entity with no employees and very little activity”. He said it was a “serious issue” and raised questions about where tax should be paid by multinationals. Harvard Law School Professor, Stephen Shay, said Ireland had an “incoherent tax system” that allowed multinationals create companies without tax obligations. He said Apple’s dealings with Ireland “undermines public confidence in the tax system” in the US. Republican Senator Rand Paul called the hearing a “show trial” and said the Senate should not be “vilifying” a corporation trying to maximise profits for its shareholders. He said the Subcommittee should apologies to Apple for “hauling” them before the Senate when they broke no laws. Email “US Senate: Irish tax havens are leaving US children without education”. Feedback on “US Senate: Irish tax havens are leaving US children without education”.